The most important day of your life should be held in a special place that will never be forgotten. At North Yorkshire’s award-winning, Crab Manor and the Crab & Lobster restaurant, we promise to give you a fairy tale wedding, at a location that is guaranteed to take your breath away. 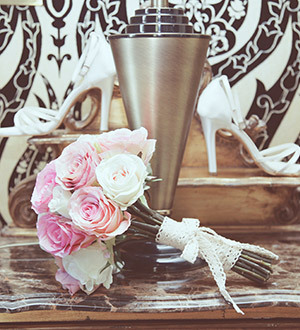 Our hotel and restaurant can cater for a variety of different sized wedding parties and styles. 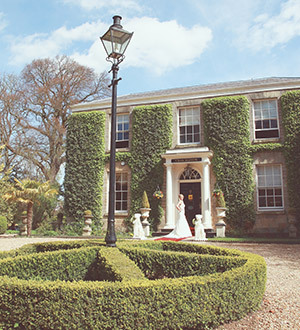 With beautiful gardens, luxury accommodation and a Two AA Rosette Restaurant to wow your guests and make this a truly magical day for everyone involved. Your memory of the day should be as picture perfect as the event itself. Set in beautifully landscaped gardens, with fountains, ivy archways and terraces, the Crab & Lobster will provide an idyllic and memorable setting for your wedding memories. By choosing the Crab & Lobster to host your special day, you can rest assured that our experienced and attentive team will take care of all your individual requirements. 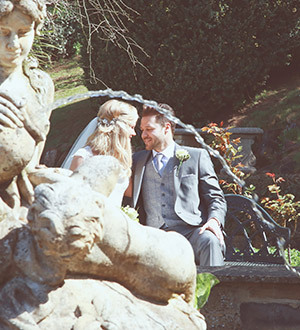 Click here to download our wedding brochure.